Jamaican jerk tacos made with spice-rubbed chicken, a mango black bean salsa, and a delicious jalapeño-cilantro sauce. These flavorful tacos come together quickly for an easy weeknight meal that the whole family will love! 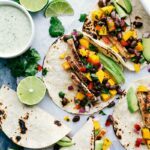 Add these jamaican jerk tacos into your “Taco Tuesday” meal rotation alongside this shrimp taco recipe, these chicken tacos, these vegetarian tacos, and these quinoa tacos. 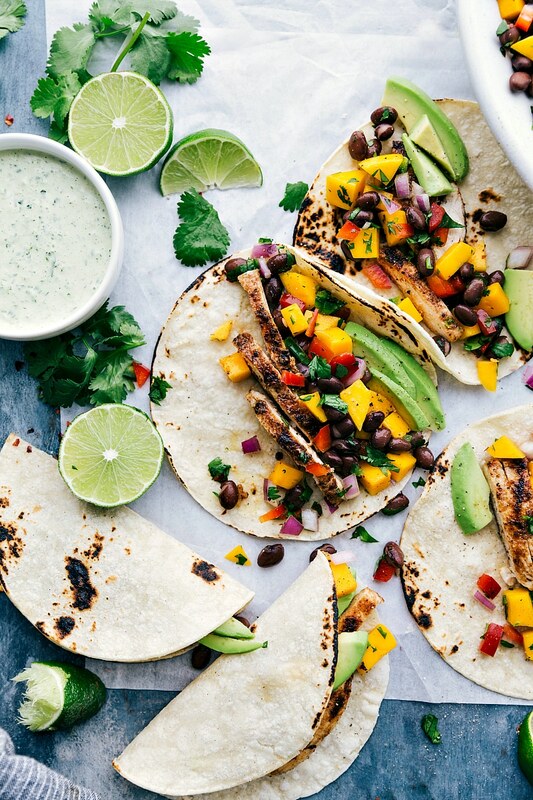 Any excuse to eat tacos and cover them in mango salsa and I am IN! These tacos are so easy to throw together and filled with delicious flavors and textures. 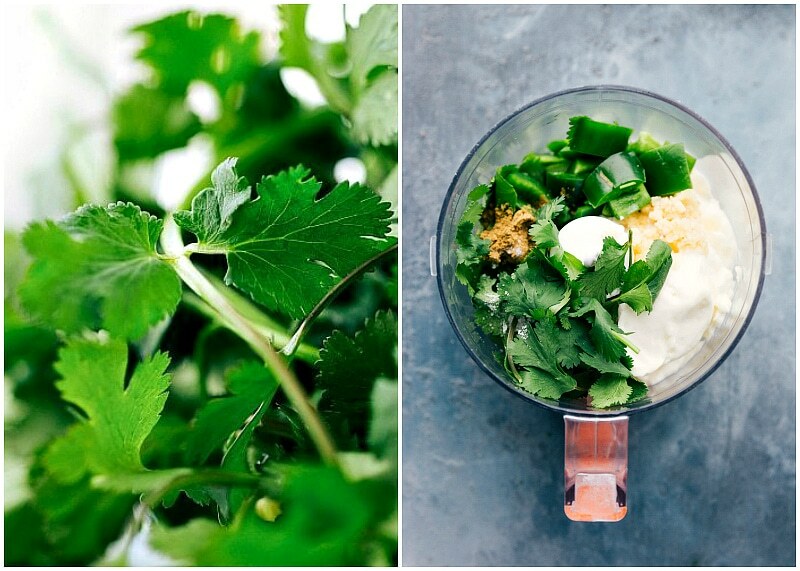 Sauce: start by making the jalapeño-cilantro sauce so the flavors have a chance to intensify. Stick in the fridge while you’re preparing everything else! Chicken: quite possibly the easiest preparation — simply rub a jamaican jerk seasoning over all sides of the chicken and cook in a skillet, grill pan, or outdoor grill. 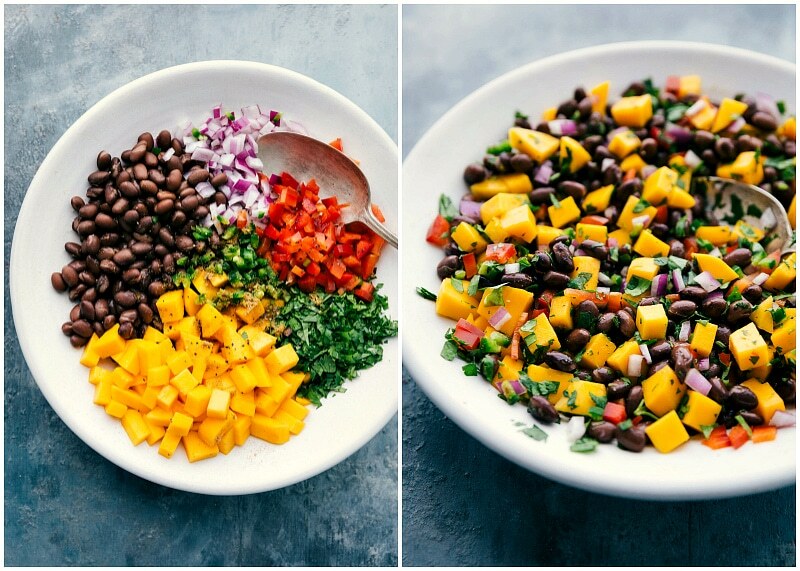 Mango black bean salsa: toss together all of the salsa ingredients (see how to cut a mango here), char the tortillas, and get ready for dinner heaven! 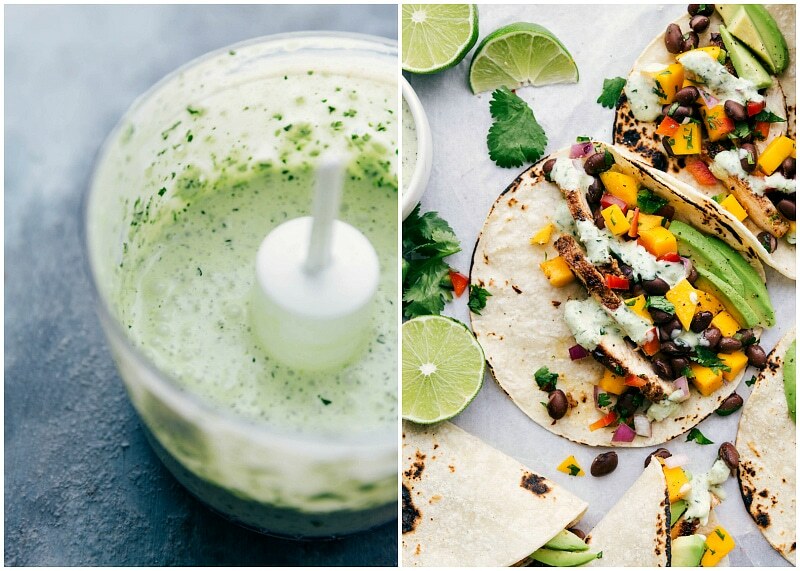 Get ripest possible mango: the mango does so much for these tacos in way of flavor or texture. 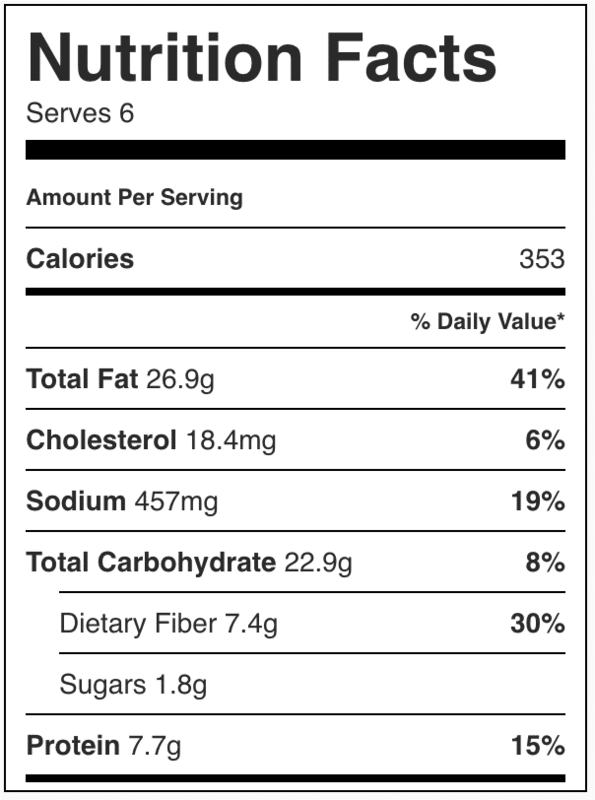 To have the best possible flavor/texture you want to get the best mango possible! While it’s tempting to focus on color, don’t. It is not the best indicator of ripeness. ALWAYS judge by feel! Squeeze the mango gently; a ripe mango will give slightly (overripe will squish down). Ripe mangos will sometimes have a fruity aroma at the stem end. Char the tortillas: while an optional step, charring tortillas does a lot for the texture of these Jamaican jerk tacos! Spray the tortillas (both sides) with olive oil cooking spray and char the tortillas directly over the gas flames for a few seconds. Use tongs to flip until tortillas are lightly charred. Halve chicken breasts: slice the chicken breasts in half and then pound them into even thickness before adding the seasoning. This ensures even cooking! I like using a meat mallet to pound the breasts, but the bottom of your frying pan or even a rolling pin all work great. Prepare the sauce and then pour it into 4 individual sauce containers. Prepare the chicken and allow it to completely cool. Thinly slice and evenly separate the chicken into 4 containers sectioned to the left side (these are my favorite meal prep containers). 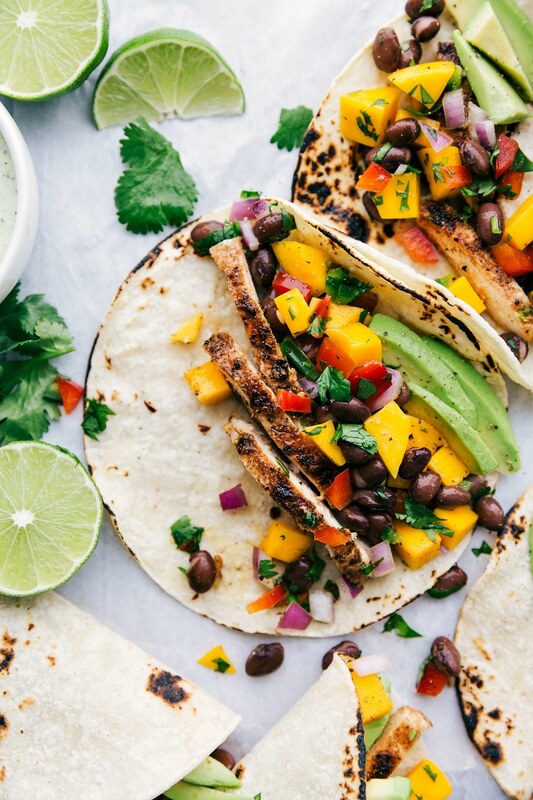 Jamaican jerk tacos made with chicken, a mango black bean salsa, and a delicious jalapeño-cilantro sauce. SAUCE: start with the sauce: in a small powerful food processor or blender, combine the following: mayo, firmly packed cilantro, coarsely chopped jalapeno pepper, minced garlic, lime juice (add to preference I like the full 3 tablespoons), cumin, and 1/4 teaspoon salt. Pulse until smooth. Pour sauce into a bowl/container and cover. Place in the fridge to allow flavors to meld and intensify. (I like making the sauce up to a day in advance). CHICKEN: Pat the chicken breasts dry with a paper towel. Slice breasts in half horizontally to get 4 pieces. Place a piece of plastic wrap over the chicken and gently pound the chicken breasts into an even thickness (use a meat mallet or the bottom of your frying pan). Lightly drizzle chicken with olive oil. Sprinkle the jerk seasoning over all of the chicken pieces (both sides) and then pat it into chicken making sure it's all well coated. Add seasoning to taste; I like to use about 1 teaspoon per piece of chicken. COOK CHICKEN: GRILL/GRILL PAN: Preheat a grill to medium-high heat (about 400 degrees F.) Generously oil the grill or ridges of grill pan (I drench a rolled-up paper towel in vegetable oil and, holding it with tongs, rub it over the grill grates.) Place the chicken onto the grill and grill 5 to 6 minutes per side, until the chicken is cooked through (internal temperature 165 degrees F). Remove the chicken from the grill and let rest for 5 minutes. Chop the chicken into small, bite-sized pieces OR slice into thin strips against the grain. COOK CHICKEN: SKILLET: Add 1 tablespoon oil to a large skillet. Heat to medium high heat. Once hot, add the chicken and cook 6 to 7 minutes per side, until the chicken is cooked through (internal temperature 165 degrees F, no longer pink in the center, and juices run clear). Remove cooked chicken let it rest for 5 minutes. Chop the chicken into small, bite-sized pieces OR slice into thin strips against the grain. SALSA: while chicken is cooking, prepare the salsa. Drain and rinse black beans and add to a large bowl. Dice the mango (you should get about 1 and 1/2 cups). Add to bowl. Add red onion, red pepper, cilantro, lime juice, and cumin. Stir together. Season to taste with salt and pepper (I add 1/2 teaspoon salt and 1/4 teaspoon pepper, add to preference). Stir together again. ASSEMBLE: To serve, char tortillas if desired (Note 2). Add sliced chicken and then mango black bean salsa. Add sauce to taste. Add thinly sliced avocado if desired. Serve with lime wedges (or just squeeze fresh lime over everything) and additional cilantro if desired. Enjoy! Note 1: a heaping 1/4 cup coarsely chopped jalapeno. Remove seeds and ribs completely for a more mild sauce. The more wrinkly the skin of the jalapeno, the spicier it will be. I don't think the jalapeno makes this sauce super hot (with the mayo balancing it out), but if you're worried, add jalapeno slowly. Note that the spiciness/flavor intensifies as this sauce sits/chills. Note 2: spray the tortillas (both sides) with olive oil cooking spray and char the tortillas directly over the gas flames for a few seconds. Use tongs to flip until tortillas are lightly charred.